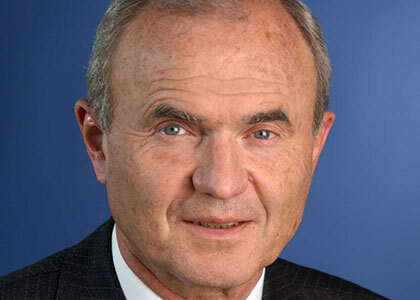 Otmar Issing is a world-renowned German economist. He is President of the Center for Financial Studies since 2006, and one of Europe’s most influential central bankers of the last 20 years. He was one of the principal architects of the common European currency, and as the former Chief Economist and Member of the Board of the European Central Bank (ECB) 1998-2006, he developed the “two pillar” approach to monetary policy decision-making that the ECB has adopted. Until 1998 he was a Member of the Board of the Deutsche Bundesbank with a seat on the Central Bank Council. He previously held Chairs of Economics at the Universities of Würzburg and Erlangen-Nürnberg. He headed the Advisory Council on a New Financial Order appointed by the German Chancellor Angela Merkel 2008-12, and was also was a member of the High Level Group of the European Commission chaired by De Larosière. Currently Issing is Chairman of the Board of Trustees of the Gesellschaft für Kapitalmarktforschung, Chairman of the Board of Trustees of the House of Finance, Goethe University Frankfurt, Member of the Hochschul¬rat of the University of Wurzburg, and an international advisor to Goldman Sachs.